The Sterling is now losing the grip vs. the greenback, dragging GBP/USD to fresh daily lows in the 1.3300 neighbourhood. Spot met further downside pressure after UK’s consumer prices tracked by the CPI have risen below expectations at an annualized 0.6% (vs. 0.7% expected), while Core prices gained 1.3% on a year to August (vs. 1.4% forecasted). On a monthly basis, the CPI has followed suit, up 0.3% vs. 0.4% initially estimated. 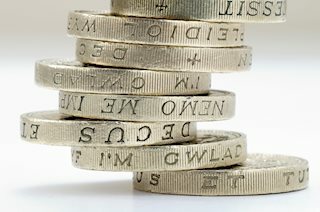 GBP will remain under scrutiny later in the week, as UK’s labour market figures are due tomorrow followed by August’s Retail Sales on Thursday. In the meantime, the pair is retracing part of yesterday’s advance, finding decent support in the 1.3240 area for the time being. As of writing the pair is retreating 0.17% at 1.3314 with the next support at 1.3213 (20-day sma) followed by 1.3152 (support line off July’s top) and finally 1.3121 (low Aug.30). On the flip side, a breakout of 1.3447 (high Sep.6) would aim for1.3481 (high Jul.15) and then 1.3646 (38.2% of the post-Brexit down move).